Why undertake a Master of Theological Studies? The Master of Theological Studies is designed for those who hold a Graduate Certificate in Theological Studies and who wish to pursue a further qualification in the disciplines of Theology or Biblical Studies as part of their continuing education for ministry. 1 year full time or up to 3 years part time. The maximum time allowed is 3 years. Full time is usually three or four units per semester, part time is one or two. 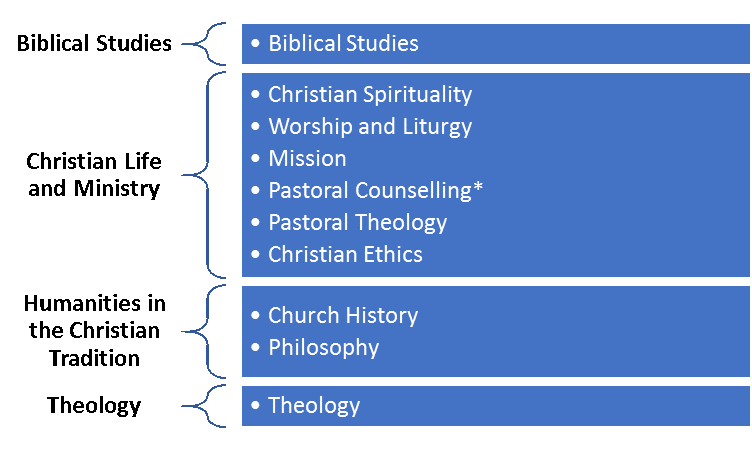 It is possible to complete a specialization in either Theology or Biblical Studies by completing four units in the desired discipline, at least one of which needs to be at 9600 level. I want to complete more study after my Master of Theological Studies, what should I do? This depends on where you want to go in your career, and what your grades have been like throughout your studies. The SCD offers a range of Masters and further Higher Degree Research courses, have a chat with the registrar at your chosen Teaching Body if you’re interested in undertaking further study.